Ozi Dumplings is taking what you think you know about dumplings and dumping that out the window. 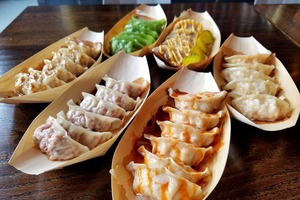 Enjoy Free Dumplings Made at Bushwick's Own Dumpling Factory This Wednesday at The Well! 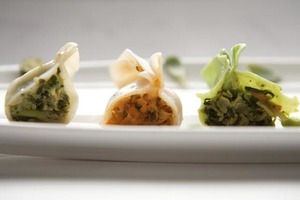 Get your beer and dumplings fill this Wednesday thanks to The Well and Chef One dumplings. On a quiet, industrial street in East Williamsburg, tens of thousands of delicious noodles and dumplings are being produced every day to be delivered to a plate near you.